Clefable, The Fairy Pokémon. They don’t like to reveal themselves in front of people. They live quietly in packs deep in the mountains. According to tradition, people who see a pair of Clefable skipping by can look forward to a happy marriage. It can’t help but hear a pin drop from over half a mile away, so it lives deep in the mountains where there aren’t many people or Pokémon. Some scientists believe that it gazes intently at the sky on nights with a full moon because it’s homesick. Ever since Generation 6 introduced a typing change, Clefable became a staple Pokemon in current metagame trends for Singles. Very decent and well-rounded stats combined with its solid Fairy typing makes Clefable a strong, defensive and a cohesive glue for most teams regardless of the playstyle. Access to useful utility moves like Stealth Rock, Thunder Wave and Knock Off, a decent offensive movepool featuring a strong STAB with few resistances or drawbacks, recovery moves in Soft-Boiled and Wish, and two excellent abilities in Magic Guard and Unaware makes Clefable a very reliable Pokemon on 6v6 formats and easy to fit in. However, this generation brought serious competition for Clefable as the Alola Guardians are usually preferred due to their higher stats, terrain support and usually being armed with a more useful secondary STAB typing. Clefable also suffers from being terribly slow and somewhat vulnerable to Taunt while being unable to significantly hurt Pokemon like Mega Mawile due to its lackluster offensive presence. While it has decent bulk, Clefable's bulk is average at best and it can get easily overwhelmed by powerful attacks such as Specs Greninja's Hydro Pump or Mega Medicham's Zen Headbutt. 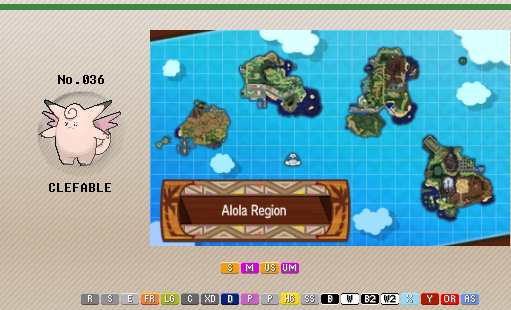 Don’t let Clefable's small shortcomings fool you. It might not be the meta defining threat it was on Gen 6, but it is still a relevant defensive threat to deal with and most of the time, Clefable will pull out its weight on its own. Well rounded defensive stats of 95/73/90 grants Clefable decent bulk to take hits alongside a very solid Fairy typing with resistances to Bug, Fight, Dark and an immunity to Dragon attacks. Access to a very good support movepool gives Clefable plenty of options to support itself or its teammates with its most important moves being Stealth Rock, Calm Mind, Knock Off and Thunder Wave. Being able to use Soft-Boiled and Wish, Clefable can use two of the best recovery moves in the game whether to heal itself or one of its teammates. Its offensive movepool is impressive featuring a powerful STAB without drawbacks in Moonblast (which has a 30% chance to reduce SpA) while boasting superb coverage options in Fire Blast / Flamethrower, Thunderbolt, Ice Beam, Grass Knot, etc. 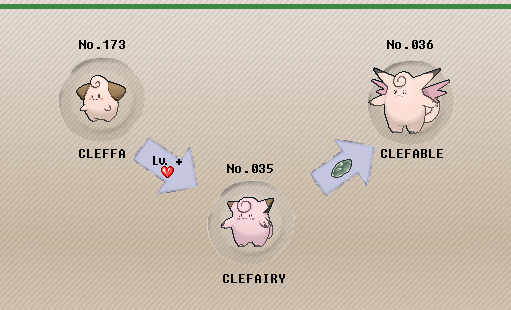 Magic Guard allows Clefable to avoid indirect damage from status conditions and hazards making it an excellent stall-breaker against defensive teams who rely on this strategy. Unaware makes Clefable one of the most annoying walls to face capable of being a cold stop for sweepers like Hawlucha and Garchomp. Thanks to its Fairy typing, Clefable can reliably set up Stealth Rock as it is a deterrent for Pokemon like Mega Sableye or Latios to switch into, as the former could bounce its hazards with Magic Bounce and the latter who would otherwise Defog its hazards away. Clefable has a terribly low 60 base Speed which means that most of the time, it will take hits before doing anything else. While its bulk its solid with investment, Clefable's stats are average at best and it can get easily overwhelmed by threats such as Choice Specs Ash Greninja & Tapu Koko, Banded Hoopa-Unbound or Mega Medicam. Compared to other Fairy-types like Tapu Koko and Tapu Lele, Clefable barely has any offensive presence and it can be taken advantage of by Pokemon such as Volcarona and Mega Mawile. Due to Battle Spot restrictions, Clefable cannot use Soft-Boiled since it is a Generation 3 exclusive tutor move which greatly hinders its defensive utility on that format and forces Clefable to use an inferior alternative in Moonlight. Moonblast is a strong, reliable and accurate STAB that allows Clefable to deal huge chunks of damage to threats such as Mega Medicham, Garchomp and Greninja, while also boasting a 30% chance to reduce Special Attack which can be useful against opponents like Heatran. Soft-Boiled allows Clefable to instantly recover 50% of its HP and keep itself healthy throughout the match and switch into the threats it can check such as Mega Lopunny. Stealth Rock allows Clefable to reliably set up hazards so its teammates can take advantage of their residual damage. Thunder Wave, on the other hand, allows Clefable to severely cripple dangerous switch-ins such as Ash Greninja and Tapu Lele so that its other teammates can take advantage of it. For the last slot, Wish can be used to support its teammates. While it may sound weird to slot two recovery moves in one set, it can offset the momentum loss caused when your opponent switches a counter to Clefable and support a teammate with recovery after switching. Pokemon like Ferrothorn, Landorus-T and Heatran greatly appreciate recover their lost health with Wish. Calm Mind transforms Clefable into a pseudo-sweeper / stall-breaker capable of muscling through the opponent once its Fairy resistances are gone, and fire powerful boosted Moonblasts. Knock Off is a niche alternative that allows Clefable to remove items and cripple Pokemon like Tangrowth, Celesteela and Alolan Marowak. Finally, if support is not needed, you can use Calm Mind + Flamethrower on a more offensive route in order to deal with the Steel types that threaten Clefable like Mega Scizor and Ferrothorn. Max HP and Defense along with a +Def nature maximizes Clefable's defensive power preventing from being 2HKOed by strong attacks such as Mega Medicham's High Jump Kick. A Bold nature is necessary in order to allow Clefable to check strong physical attackers like Garchomp and Mega Lopunny. Cut a few Def EVs and use 12 EVs on Speed only when using Thunder Wave as this will allow Clefable to outspeed a paralyzed Tapu Lele. Even when using Knock Off, Clefable shouldn't consider resorting to a Relaxed nature as Knock Off is being used fairly for utility reasons. Magic Guard is the preferred ability on this particular set as this Clefable is designed to fit into balanced and more offensive builds who need a decent glue on their team that can set reliably hazards while checking a large portion of threats. Thanks to its ability, Clefable won't take any damage from burn, poison, weather, wrapping moves and hazards which makes it a perfect pivot to switch into the threats it is supposed to check. Leftovers should always be the item of choice for Clefable as thanks to its Magic Guard ability, it will always gain its extra 6% HP without being whittled by indirect damage. With Unaware, Clefable becomes a cold stop for set up sweepers such as Garchomp and Mega Heracross who rely on set up moves to break through teams. 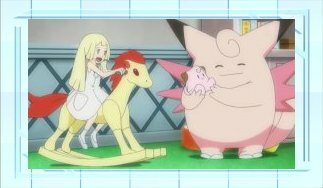 Wish and Protect keep Clefable healthy while being able to pass extra recovery to one of its teammates. Protect can also be used to guarantee Clefable receives its own Wish unscathed or to scout potential Z-move or Trick users. Moonblast is Clefable's most powerful STAB and it is used to prevent Clefable from being complete Taunt fodder. Finally, Aromatherapy or Heal Bell provide cleric support healing Clefable or its team from status ailments. (Take into account that Heal Bell will not heal Pokemon with the Soundproof ability). If cleric support is not needed, Clefable can run other options such as Knock Off or Thunder Wave depending on what its team needs. Max HP and Defense along with a +Def nature maximizes Clefable's defensive power preventing from being 2HKOed by strong attacks such as Mega Medicham's High Jump Kick. A Bold nature is necessary in order to allow Clefable to check strong physical attackers like Garchomp and Mega Lopunny. Unaware is what makes Clefable shine on defensive teams as it allows Clefable to ignore any boosts that the foe has accumulated, meaning that it can serve as a great check to Swords Dance users such as Garchomp and Mega Heracross. Take into account that Unaware is sadly incompatible with Soft-Boiled which means that Clefable can only use Wish or Moonlight as its recovery moves when using its Hidden Ability. Leftovers is the necessary item on this set as it allows Clefable to gain passive recovery while guaranteeing an extra chip when using Protect. Moonblast is a strong, reliable and accurate STAB that allows Clefable to deal huge chunks of damage to threats such as Mega Medicham, Mega Salamence and Greninja while also boasting a 30% chance to reduce Special Attack which can be useful against opponents like Heatran. Stored Power is ideal to take advantage of the Baton Pass setups this set is often used with, but otherwise Minimize makes Clefable very hard to beat after gaining a couple of evasion boosts. Calm Mind allows Clefable to increase its Special Attack and Special Defense to respectable levels making it harder to beat while increasing its damage output. Finally, Moonlight is the preferred move as it grants Clefable more flexibility on its item slot despite being nerfed by Sand. If weather concerns you, Rest is an option to use alongside a Chesto Berry, however, this makes Clefable being easily overwhelmed by physical attackers such as Mega Blaziken, Mega Kangaskhan and Mimikyu. Maximum HP and Defense investment with a Bold nature is used to take on the large amount of physical attackers in the format, such as Blaziken, Mega Kangaskhan, and Mega Salamence. Since Clefable has Calm Mind to raise its Special Defense, investment in Defense is more important. Magic Guard is the preferred ability on this particular set as Clefable won’t take any damage from burn, poison, weather, wrapping moves and hazards which makes it a perfect pivot to switch into the threats it is supposed to check. It's more valuable in 3v3 since Pokemon like Zapdos and Porygon2 rely on status ailments to cause damage, making them set up fodder for Clefable. A Kee Berry is used so Pokemon such as Blaziken and Choice Band Garchomp can't 2HKO Clefable, and the boost makes it much easier for Clefable to set up on physical attackers. Rest + Chesto is an option in case you are concerned about Sand affecting Moonlight's recovery. 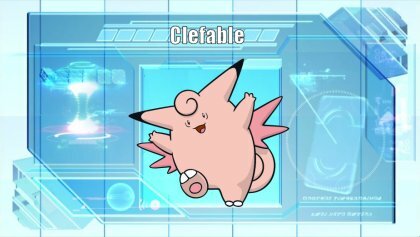 lue Clefable can provide to its team, makes it difficult to justify its loss in favor of one teammate when you consider the amount of offensive threats Clefable can check. Compared to Wish, which doesn't OHKOs Clefable in return, it is an inferior option. A Calm Mind + Stored Power set is possible to use alongside Cosmic Power and/or Charge Beam. However, the amount of turns it requires to set up is too much to start dealing any significant damage and Clefable can easily lose to a critical hit throughout the process. Clefable can use a Life Orb + Magic Guard set with Fire Blast / Focus Blast / Moonblast and a Modest nature as a strong offensive tank capable of getting past Ferrothorn and Celesteela while neglecting the LO recoil thanks to Magic Guard. However, the lack of defensive prowess makes this Clefable set even more vulnerable to offensive threats such as Mega Lopunny. Clefable can set up screens for its teammates but its low Speed makes it a subpar option. Steel types such as Celesteela, Ferrothorn, Mega Scizor, Mega Metagross and Mega Lucario are incredibly threatening to Clefable thanks to their Steel type STAB moves. Mega Lucario and Mega Metagross can easily OHKO Clefable with their STAB Meteor Mash. While Ferrothorn and Mega Scizor must watch out for Flamethrower, they can easily force it out thanks to their great bulk and STAB Steel moves. Celesteela deserves a special mention as even if Clefable runs Flamethrower (unless boosted), it won’t take too much damage on the process and it can easily crush Clefable with Heavy Slam. Poison types like Gengar, Alolan Muk and Toxapex take little damage from Moonblast and they can easily force Clefable out with their super-effective STAB moves. Toxapex uses Clefable as set up fodder all day. Taunt helps against Clefable, specially against Unaware sets since these are more reliant and vulnerable to indirect damage. While Clefable's bulk is great, it is far from being invincible and Clefable can get overwhelmed by Pokemon such as Tapu Koko, Tapu Lele, Magearna and Ash Greninja who can 2HKO it at most with their boosted STAB attacks if Clefable recklessly switches into them.